The Slovenian conductor Simon Perčič is music director of the International Youth Symphony Orchestra NOVA Philharmonic since 2010. Simon Perčič appeared extensively with orchestras in most European countries. Moreover, in recent years Simon Perčič has been increasingly active conducting string chamber orchestra, symphonic wind orchestra as well as brass, wind and percussion ensembles. He has appeared at many renowned international festivals and in various prestigious concert halls worldwide such as Musikverein in Vienna and Berlin Philharmonie. In edition, he often recorded for radio and television. Furthermore, he is the artistic director of OrkesterkamP (Summer Music School and Festival) and Svirel (International Competition and Festival). He has a wide range of repertoire from the Baroque to the present day, including standard works as well as many rarely performed works and contemporary music. Simon Perčič enjoys working with young musicians and is frequently invited to conduct at music colleges in Italy, Armenia, Hungary, Austria and Poland. Simon Perčič studied trombone at the Ljubljana Music Academy and Scuola di musica di Fiesole (Italy) where he also studied conducting under distinguished Finnish professor Jorma Panula. Following a chamber music career and freelance work with Slovenian Philharmonic Orchestra and Radio Symphony Orchestra, he took conducting masterclasses at the RNCM in Manchester by professor Mark Heron as well as Daniele Gatti, George Pehlivanian, Jan Cober and Douglas Bostock. 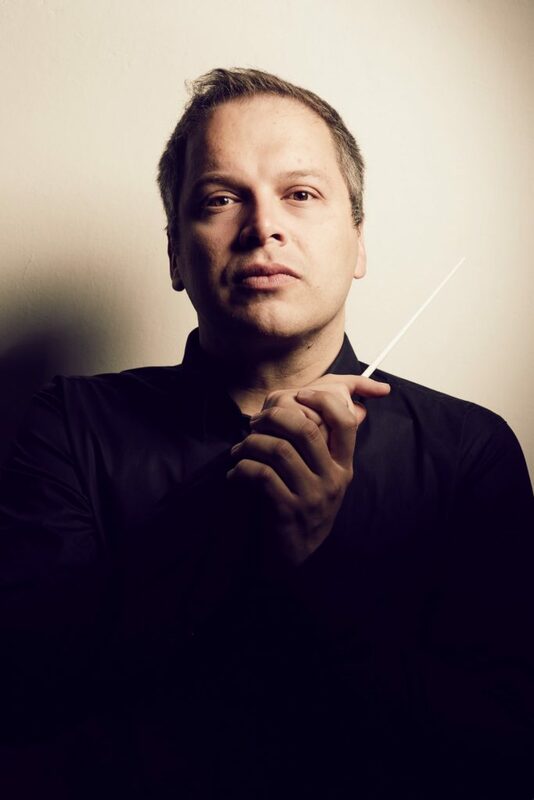 Alongside his conducting engagements Simon Perčič has a burgeoning reputation as a teacher and his students have achieved notable success. Perčič often appears also as a guest at conducting courses or as a jury member at national and international music competitions.